What Is The Best Pink Floyd Live Album & Studio Album? 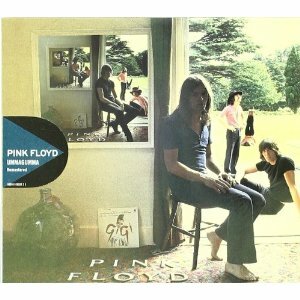 This page has readers polls for you to vote in to find the best live albums by Pink Floyd and the best studio albums by Pink Floyd. You can also see the results so far. Please vote in my poll to help find the best Pink Floyd live album. In the “greatest live album” listings, if a Pink Floyd live album appears, it is usually Pulse with its full version of Dark Side Of The Moon but do you agree? 1981 Pink Floyd - Is There Anybody Out There? Do you think that a really good Pink Floyd live album exists outside of the bootlegs? It seems a shame to me that there isn’t an authorised live album with the work in progress songs. For example in 1974 a typical Floyd concert previewed three new songs (Shine On You Crazy Diamond, Raving and Drooling (Sheep) and You’ve Gotta Be Crazy (Dogs) before playing Dark Side Of the Moon. That classic album was also previewed live before it was released. Update – you can get a recording of Shine On You Crazy Diamond, Raving and Drooling and You’ve Gotta Be Crazy from Wembley, London on the Experience and Immersion versions of Wish You Were Here. Dark Side Of the Moon live from the same concert is also available from the Experience remaster of the album. Shame they haven’t been bundled together to create one live album from the classic Floyd period. My advice is to buy both and combine the live tracks on both to create Pink Floyd Live At Wembley 1974. Now that really could be their best live album and if you’ve done it, I’ve added it to the poll. Number one in the rankings is Pulse from 1994, ie with Gilmour, Wright and Mason but without their main songwriter, singer and bassist Roger Waters. This is a very competent and professional live album with songs from A Momentary Lapse Of Reason and The Division Bell alongside classics from Dark Side Of The Moon, Wish You Were Here and The Wall. I find that I listen to it when I want to hear the more recent songs but they don’t really do enough to vary the songs from their studio equivalents. Second is the composite album Live In Wembley 1974. For me this is the real Pink Floyd playing in their peak period and taking risks on stage as they previewed tracks that would appear on the much under-rated Animals. The only thing missing is the encore, Echoes, from Meddle. 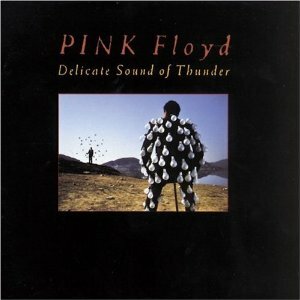 Third, is the album Delicate Sound Of Thunder. To me, this Gilmour, Wright and Mason album is neither as comprehensive as The Division Bell or as authentic as Live At Wembley. I’m surprised it has received so much support. Fourth, and just behind, is Ummagumma. This is another strange album. The combination of half recored in the studio and half live in concert isn’t that unusual but giving each member solo songwriting duties on the studio cuts means that we don’t have a single group classic track. If you’re buying mp3s, Grantchester Meadow us worth getting plus the early space rock of the live songs. Last of the longstanding official group albums is the live version of The Wall called Is There Anybody Out There? This was recorded before the split so it features the four members that had so much success. These classic albums live can be interesting but they risk being so similar to the studio version that they have little purpose. 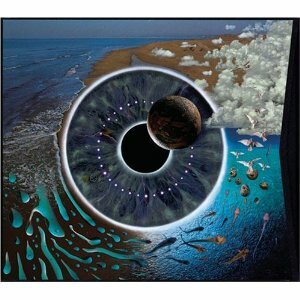 Roger Waters and Dave Gilmour have both released solo live albums which combine their solo work and classics from Floyd. I particularly like In The Flesh by Roger Waters. Further below there is a poll to see how Pink Floyd will get on in prog rock live albums poll but first, let’s have a quick look at their studio albums. What Are The Best Pink Floyd Studio Albums? I believe that the best live albums often appear around the time of the best studio albums. I’ve created a poll to find out what are the best studio albums by Pink Floyd. What Are The Two Best Studio Albums By Pink Floyd? I doubt that given the choice of voting for the two best studio albums by Pink Floyd, their 1973 album Dark Side Of The Moon. 61% of voters have selected it. 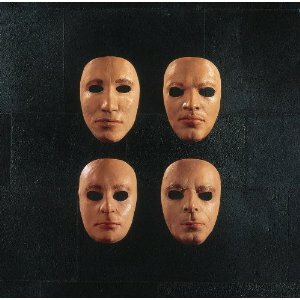 More surprising is the order of the other albums – 2 The Wall, 3 Wish You Were Here, 4 Animals and 5 Meddle. Please help me to find the best live albums by voting in other readers polls. What is the best prog Rock Live Album? This entry was posted in Best Live Album Polls, Classic Rock Live Albums, Progressive Rock Live Albums and tagged Pink Floyd Live Albums by Paul Simister. Bookmark the permalink.